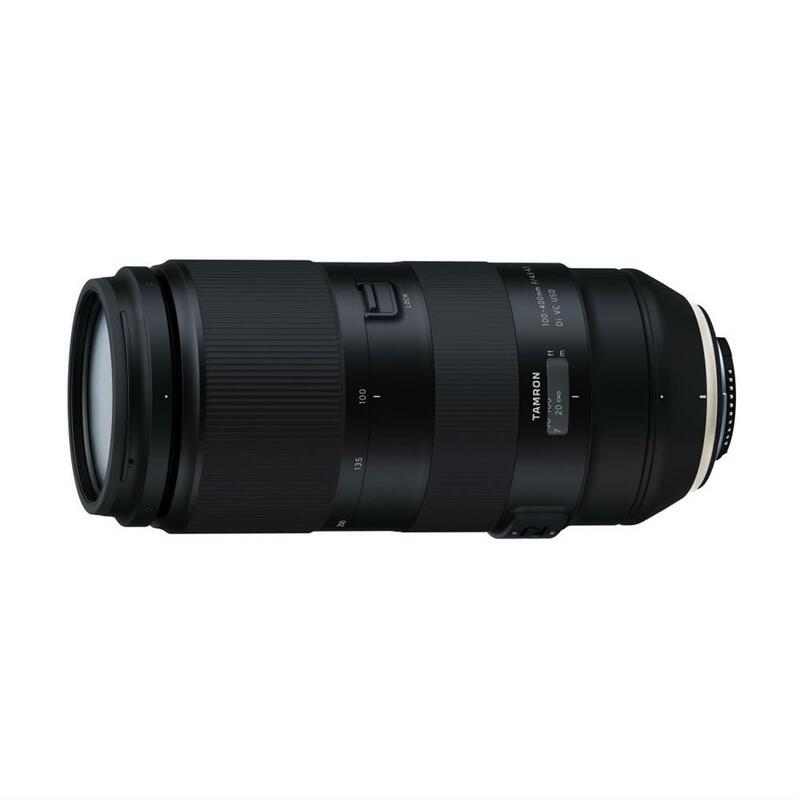 Purchase a select Tamron 100-400mm F4.5-6.3 Di VC Lens. A Bonus Tamron Tripod Mount Collar 100-400 Di VC will be automatically added to your Shopping Cart. A $189.99 value. Offer valid until April 30, 2019, until 11:59 p.m. E.S.T., or while quantities last. lens models. The advanced optical design of Model A035 includes three LD (Low Dispersion) lens elements for aberration reduction and Tamron's original eBAND Coating for superior anti-reflection performance. At 1,115g (39.3 oz), the new lens is the lightest in its class and features magnesium alloy in key areas of the lens barrel to ensure weight reduction, and improve strength and portability. Model A035 is compatible with Tamron's 1.4X tele converter and the Tamron TAP-in Console that enables lens customizations for focus adjustments, VC mechanism adjustments and more. Additionally, an Arca Swiss compatible tripod mount is available as an optional accessory. The A035 features Tamron's eBAND (Extended Bandwidth & Angular-Dependency) Coating, which has an extremely low refractive index and fine multiple-layer coating technology, to achieve outstanding antireflection performance. BBAR (Broad-Band Anti-Reflection) Coating, with excellent antireflection characteristics, increases light transmission. These coating technologies greatly reduce the ghosting and flare that can occur when subjects are backlit. Model A035 is compatible with tele converters designed exclusively for Tamron lenses to achieve 1.4X and 2X the original focal length*. It's also compatible with Tamron's TAP-in Console (Model TAP-01), an optional accessory enabling users to update lens firmware and customize the lens settings, including adjustments of focusing positions for autofocusing and the operation modes for the lens's Vibration Compensation system. *Use of the 1.4× tele converter results in light reduction of 1 F stop; use of the 2× tele converter results in the loss of 2 F stops. While inheriting the design that makes use of many organic curves and the delicately polished form down to fine details that characterize the SP lens series, the new Model A035 comes with a highly sophisticated design that also places a lot of importance on the lens?s functionality and ease of use, featuring an overall form that faithfully encompasses the internal structures within, a slim Luminous Gold brand ring and the switch shape design.